This Acrylic Plastic Keyring encases a double sided image of your favorite dog breed. 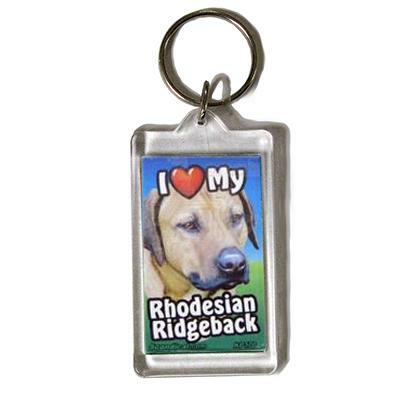 Each keyring has 'I love (heart) my Rhodesian Ridgeback' printed around the image. These make the perfect gift for the dog lover in your life.